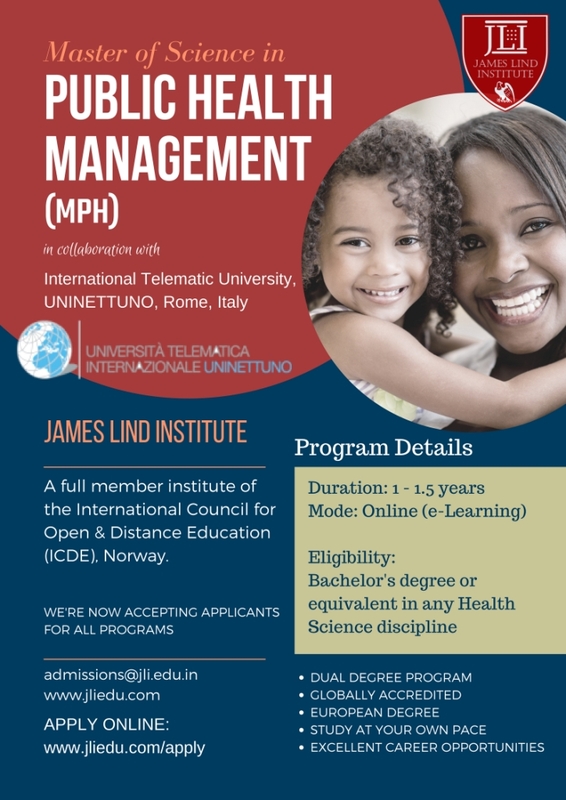 This Master of Science in Public Health Management (MPH) program is conducted by JLI in collaboration with the International Telematic University UNINETTUNO, Rome, Italy. This program allows you to earn an Adv. PG Diploma from JLI first & then a masters degree in public health from UTIU. The field of public health is of high importance as it focuses on health at a population / community level. People who are trained in public health and have advanced degrees in this field are in high demand globally. Public health professionals help to prevent outbreak of diseases, develop a plan of action in case of outbreaks and work at national and international level in policy making and implementation. Generally public health professionals are a part of large healthcare organisations both for and non-profit, and public or private. The James Lind Institute and the International Telematic University, UNINETTUNO, Rome, Italy (Università Telematica Internazionale UniNettuno 'UTIU') have collaborated to bring to you a very unique opportunity to earn a masters degree in public health via the Master of Science in Public Health Management. This is a dual degree program that allows you to earn an Advanced PG Diploma of your choice as well as the Master of Science in Public Health Management within a span of 1 to 1.5 years. The programs have been thoughtfully structured in order to provide the required skill sets to managers, senior managers and those working in leadership positions within the health sector. Pathway to earning a Master of Science in Public Health Management involves 2 stages. Upon enrollment in this program students will be given a choice to complete any Advanced Postgraduate Diploma from the James Lind Institute. Choosing an Advanced PG Diploma from the healthcare category e.g. Advanced PG Diploma in Public Health Research; Advanced PG Diploma in Healthcare & Hospital Management; Advanced PG Diploma in Tropical Medicine, Surveillance & Immunization etc. is preferred but not mandatory. For details of study modules covered in these please refer to that program specific web page. Upon completion of Stage 1 the student will be transferred to the International Telematic University UNINETTUNO, Rome, Italy for pursuing the online Master of Science in Public Health Management. The university will accept all credits obtained in Stage 1 for progression to masters degree. James Lind Institute will coordinate the transfer process on behalf of the student with the University. Up to the Advanced PG Diploma level, students will be assessed based on online multiple choice question tests for each lesson, and submission of assignments for each module. - Submits a written essay. This contributes 30% towards the total final grade of the module. - undergoes an oral exam / viva (via teleconferencing) OR a written exam (at a place assigned by the University abroad, or in one of University’ s Technological Poles abroad, or in the Italian Embassy in the country where the student lives). This contributes 70% towards the total final grade of the module. In addition to the above the student also Submits a dissertation (15000 words). 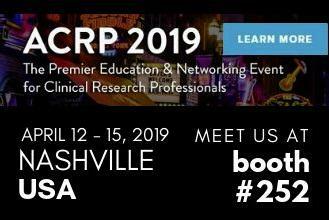 The dissertation topic is finalized with the Master's degree scientific committee only after all applicable study modules have been completed. The dissertation, after it is electronically submitted, is examined orally (via teleconferencing) by professors of the University . Applicants must hold a first degree (bachelors) or an equivalent recognised academic title. In addition, knowledge of the English language and basic use of computer and internet are required. 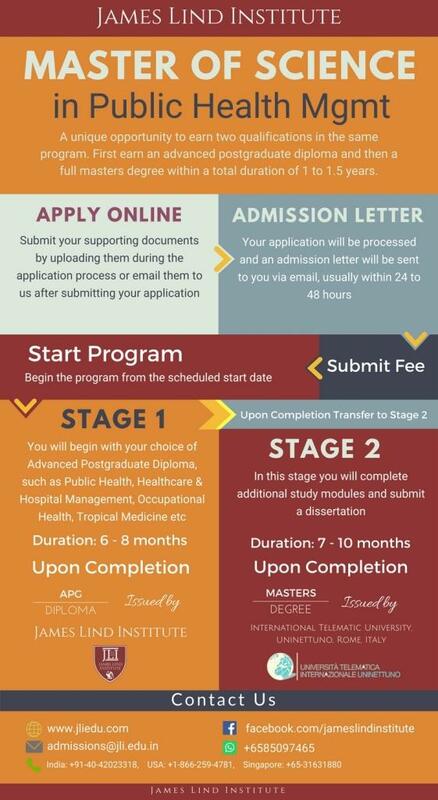 Upon completion of the Stage 1, James Lind Institute will issue the Diploma and Transcript within 4 weeks. These are required for progressing to Stage 2 i.e. masters level. The soft copies will be sent to the student via email as soon as available and the originals will be sent via post/courier. Upon completion of the masters level, the participant can either attend a graduation ceremony and receive the masters degree in the University Campus in Rome, Italy; or if unable to attend can request for the same to be sent via Post/Courier. The International Telematic University UNINETTUNO (Università Telematica Internazionale UniNettuno - UTIU) is a recognized Italian university and was established by the decree of the Italian Ministry of Education, University and Research, on the 15th of April 2005. The university delivers academic titles having a legal value in Italy, Europe, Mediterranean and other Countries. The Master of Science in Health Management is conducted by the University in English and Greek. “Uninettuno is the only University in the world which has programs offered in six different languages: Italian, English, French, Arabic, Polish and Greek”.